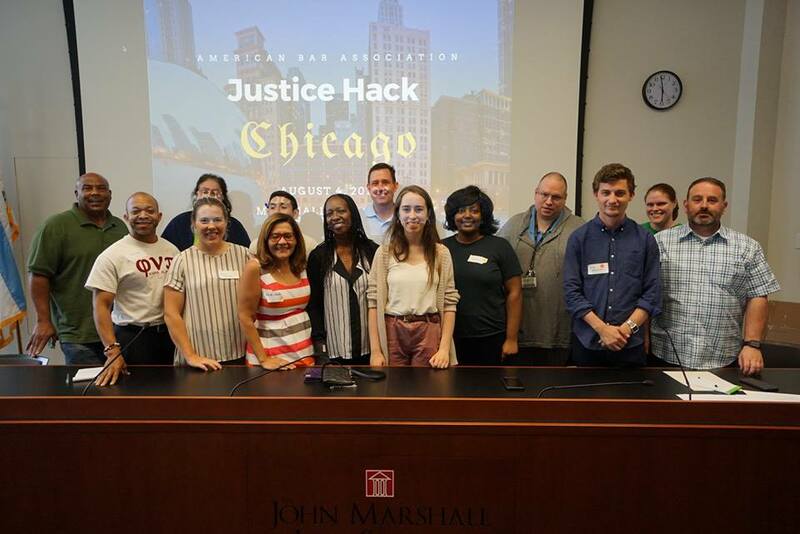 We attracted over 80 diverse lawyers, community and industry leaders, students, experts from law enforcement and legal communities, designer and technologists. The John Marshall Law School served as the venue host. Safe Passages App: Provides an application, accessible on multiple devices (web, phone, wearable, etc.) to aid in the safe passage home for children. The app will provide a route, highlighted on a map, with hot spot notifications of hazards to avoid, and the ability to find shelter or report an incident. A.W.A.R.E. ($300): Wearable technology device for individuals with mental health, invisible disabilities & language challenges to reduce tension in interactions police.